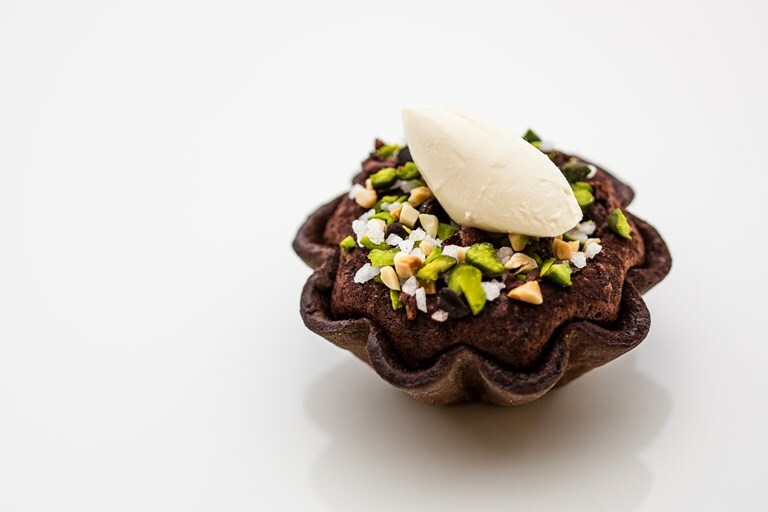 Shay Cooper's stunning chocolate fondant tartlet recipe has a surprise at its core – a delicious hazelnut praline paste that melts as it cooks. This recipe requires a lot of prep work, but each separate element can be made ahead. Then it's simply a case of assembling the tarts and baking for a mere five minutes – the perfect dessert for a dinner party.